TinkerPop3 is the latest major reincarnation of the graph proje­­­ct, pulling together the multiple ventures into a single united ecosystem. 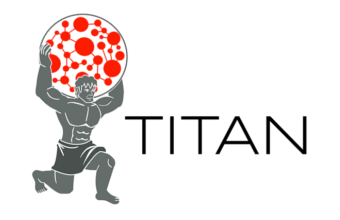 Titan 1.0 is the first stable release of the Titan graph database, based on the TinkerPop3 stack. Thanks to TinkerPop3, this step is even simpler than before. Go here, download Titan 1.0 (we recommend using Titan for Hadoop 1) and install the package. The bundle includes the Gremlin Server and Gremlin Console, so no additional downloads are required. You can download our dataset, and an extended version of this guide, using the link at the end of this post. By default, the Gremlin server uses a WebSocket channel, which is great for real-time or data streaming scenarios. If this configuration works best for you, skip this step. If you are planning to use HTTP calls to the REST Endpoint, you can find instructions in our full guide. See the link at the end of this post to download a copy. And that’s it! By this point, you should see a KeyLines chart pulling data from your Titan database. Our getting started tutorial provides step-by-step instructions on how to build a visualization component for your Titan Graph Database, using the KeyLines SDK.